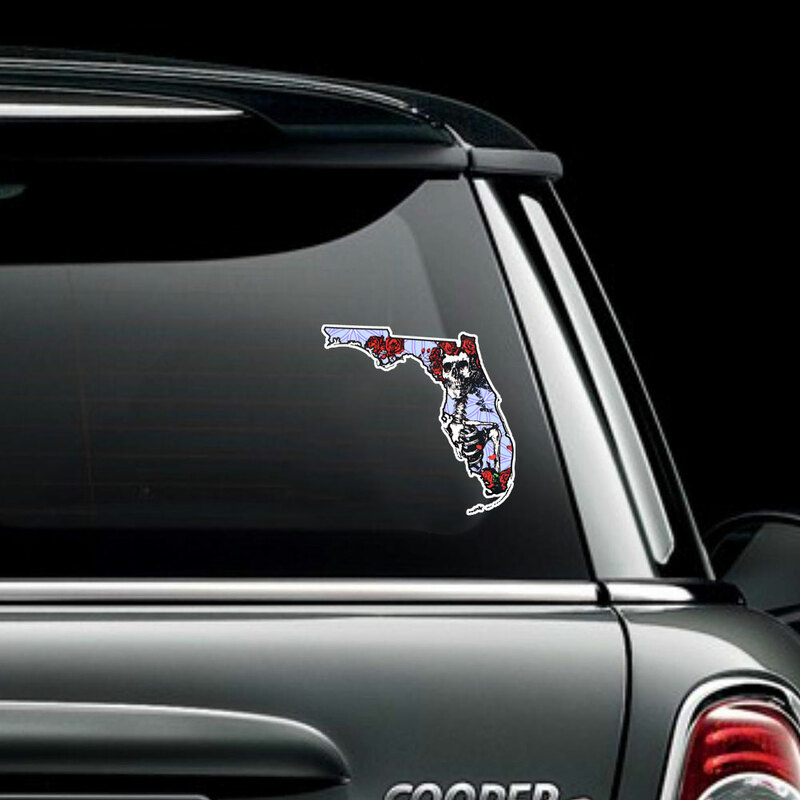 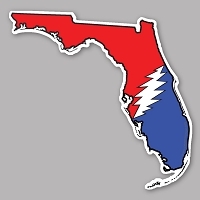 This sticker is cut in the shape of Florida with a black and white border. 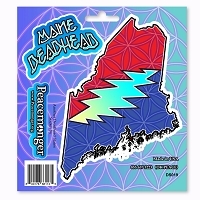 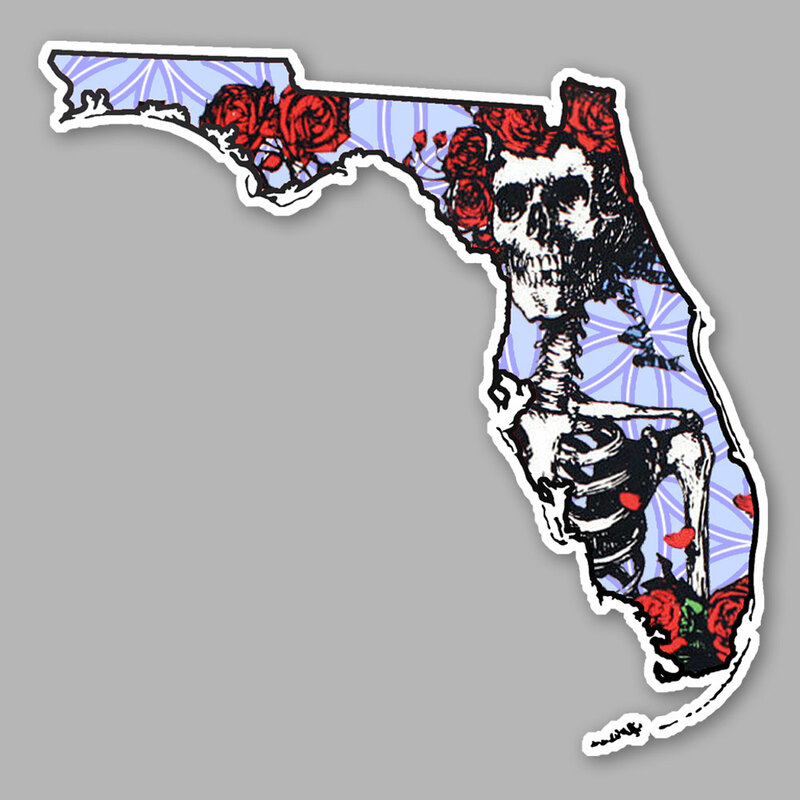 The state is filled with a classic Grateful Dead skeleton and roses woodcut against a sky blue flower of life sacred geometry design in the background. 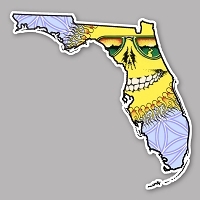 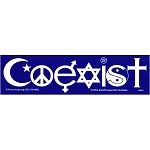 This sticker indicates a Florida Deadhead 'state of mind'.